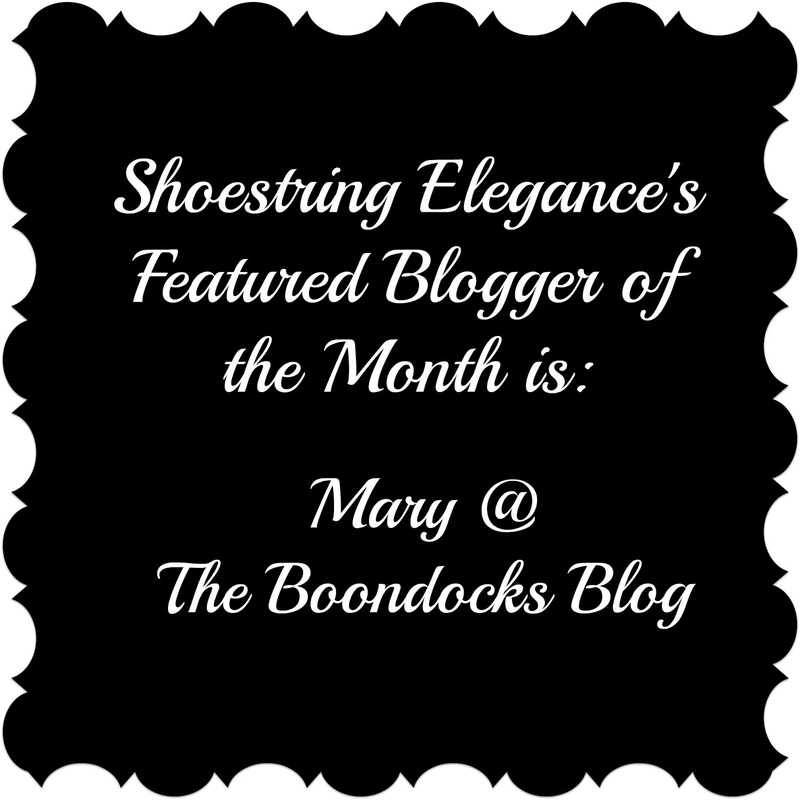 Shoestring Elegance: What to do Weekends #198 ~ Happy November! 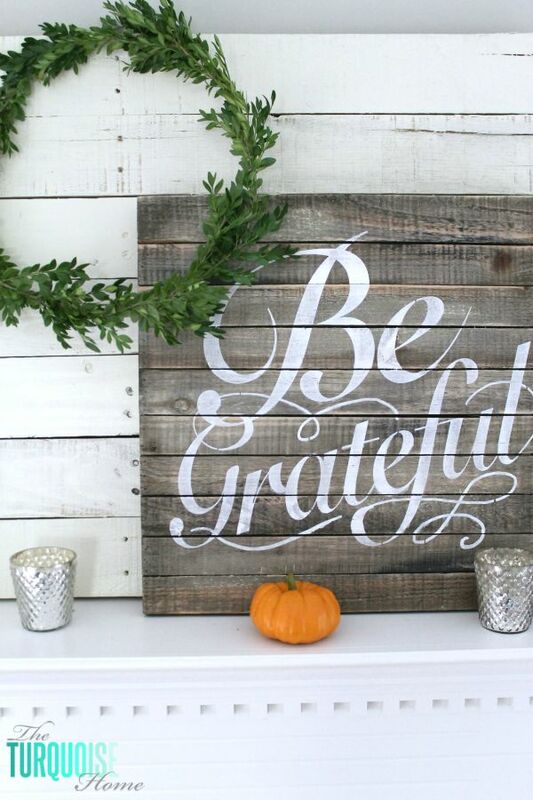 HAPPY NOVEMBER!! THE COUNTDOWN TO CHRISTMAS IS ON!! 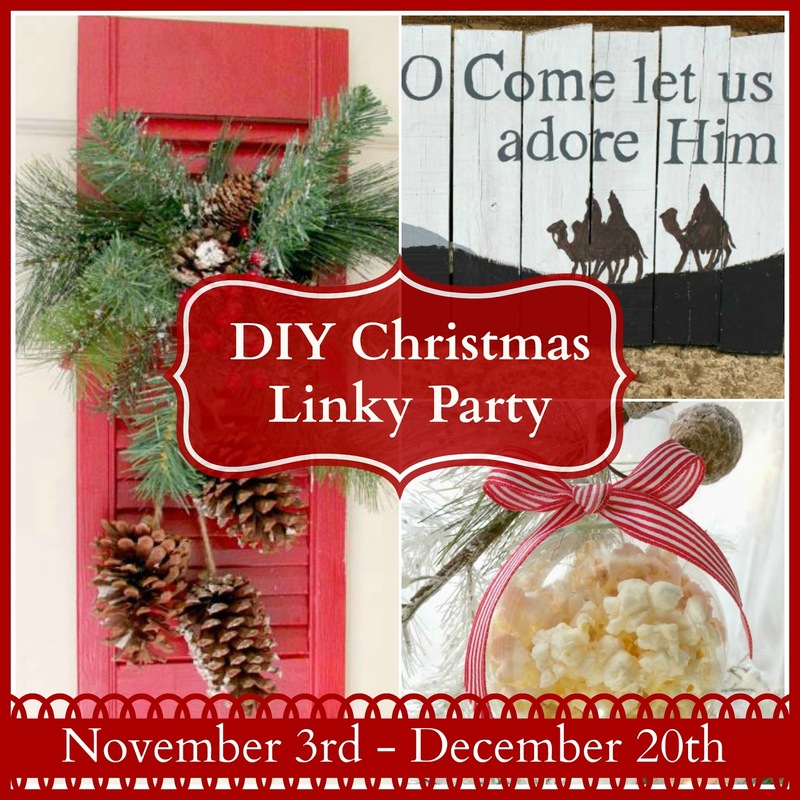 I LOVE all the creativity you bring to this Party! 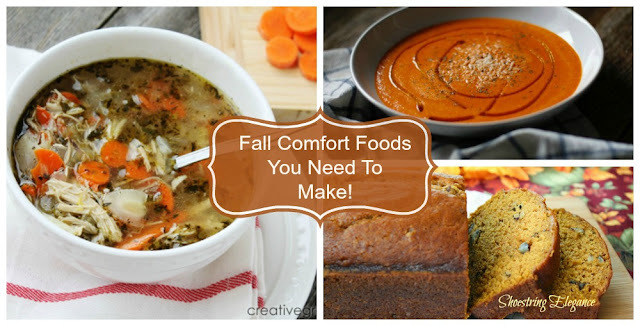 Fall Comfort Foods You Need To Make make sure you check it out and see if your Recipe was included!! Okay, now I can move onto Shoestring's Features for this past week! 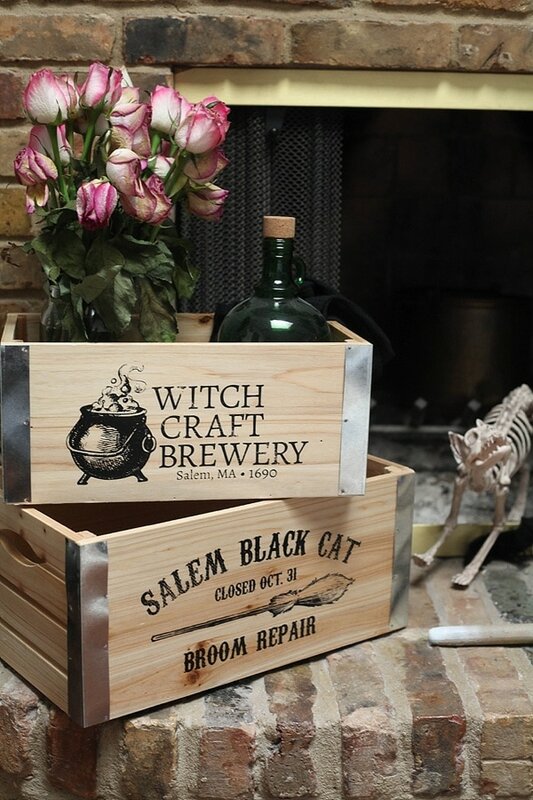 I'm not usually a big fan of Halloween decor, but Run to Radiance had these adorable Halloween Decor Crates that I just thought were as sweet as you can get. 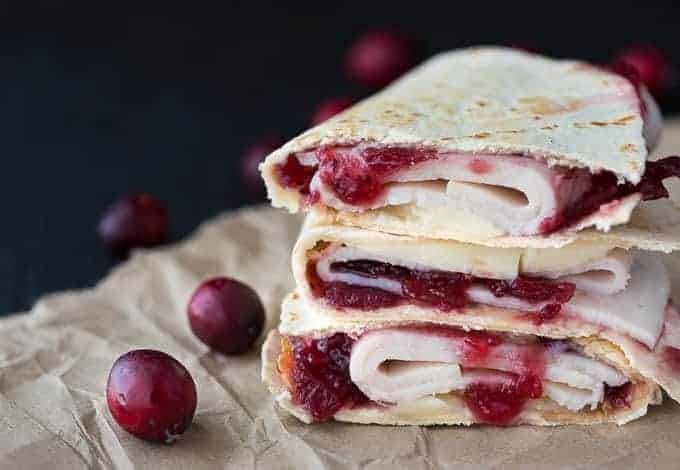 Simply Stacie shared her Yummy Turkey Cranberry Brie Quesadillas that I will definitely be trying out this month!! Don't these look like pure deliciousness?!! Wife In Progress shared her beautiful Pink Christmas Tree for Breast Cancer Awareness Month Now, that's blogging with a purpose, for sure! It's also absolutely beautiful! I ad heard that Pink was the new Red! Here's the Proof! I Love Kenarry's Fall Hand-Painted Wine Glasses and Appetizer Plates What a Great Idea! Fabi Fufu made this mouth watering Fiadone Corsican Cheesecake that I just can't get over! You all, I'm gonna get pretty big, trying all your Great Recipes! 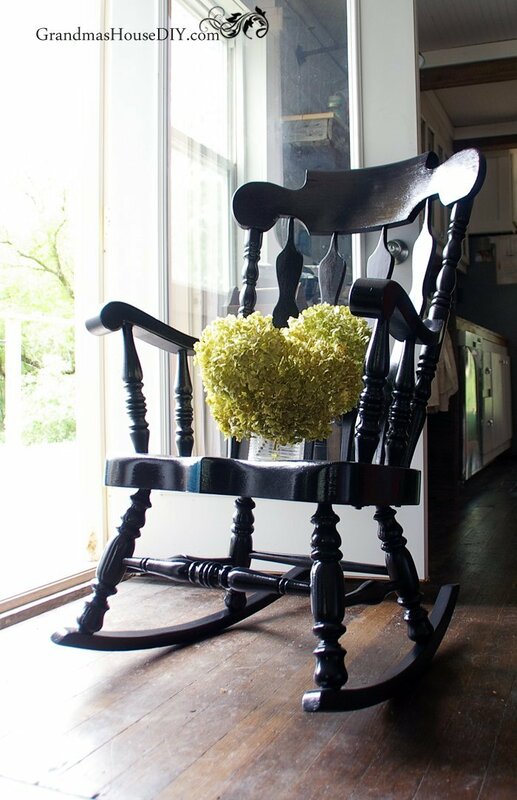 Tarah from Grandma's House DIY shared this Painted Rocking Chair You, definitely should see the before! You won't believe it! 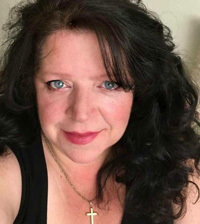 And, now for this month's Featured Blogger! 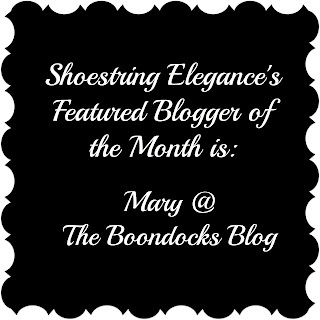 Have you seen Mary's Blog yet?! Don't forget take the time to pop over and congratulate her and have a look around. She has a lot of awesome Inspiration! 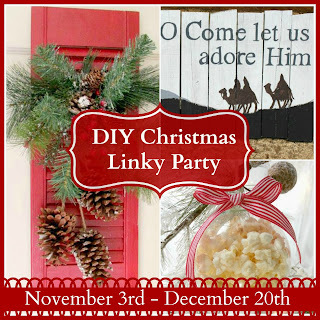 Check out the All Things Christmas DIY Linky Party Another place to share all your Holiday Creations!! Thank you Theresa for hosting this wonderful party. I cannaot get over the pink Christmas tree, it looks so fresh and pretty. 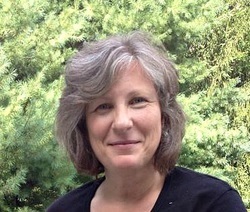 I hope you have a great weekend, I am in the process of getting the tree out of storage myself. .
Yay, Mary! I can't wait to see what your up to! Isn't the Pink Tree unbelievably beautiful? I love it! Hmm Inspiration! 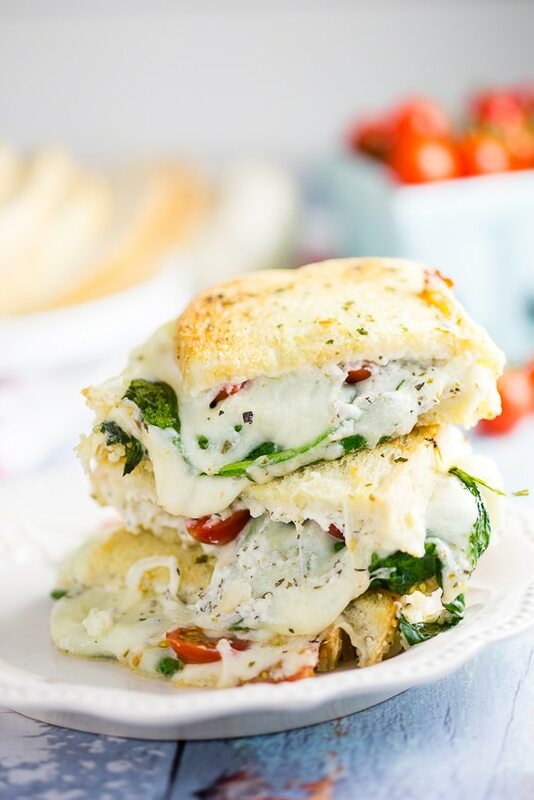 Oh my word that grilled cheese!! You had to have that....when I am so hungry! LOL! Thanks for hosting! Thank you for another wonderful party Theresa!! My mouth is salivating with all of your yummy features!! So much inspiration too!! Thanks for the party, Theresa. I hope you have a wonderful weekend. Thank you so much, Beverly! I'm so glad you are joining us!